Today Nelson Immigration Law is sharing immigration attorney advice that every immigrant deserves to know. 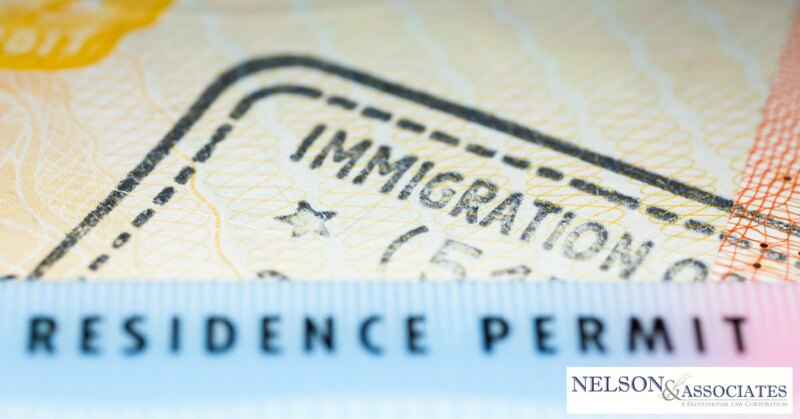 Whether you are just beginning the immigration process or whether you have already begun but find yourself with questions, Nelson and Associates can help! As an immigrant in the United States, it’s important to be familiar with the Immigration and Nationality Act. This is an act that contains many of the more important immigration principles including general provisions for immigration and nationality, regulations on the immigration process, nationality and naturalization codes, codes for refugee assistance, and alien terrorist removal procedures. These principles are frequently amended, but you can find information on current principles through the USCIS website. The USCIS makes a comprehensive copy of the U.S. immigration policies accessible free of charge. You can access these through the U.S. immigration policy manual website. There is a lot of information contained in this policy manual but the USCIS divides the manual into sections that can be easily navigated online through their website. Additionally, if you find the immigration policy manual to be difficult to follow, an experienced immigration attorney can help you to understand how different immigration policies impact your specific case. Whether you are a documented or undocumented immigrant in the U.S. you are afforded certain rights that cannot be denied regardless of the current immigration climate. The National Immigration Law Center has compiled a very helpful resource that you can reference to understand what rights you have as an immigrant in the United States. If you feel that your rights as an immigrant in the United States have been violated it’s important to contact a reputable immigration attorney as soon as possible. A good immigration attorney can not only help to protect your rights as an immigrant, but they can also help you to seek compensation for any existing violation of your legal rights. ancestry, culture or language, when it comes to education, employment, housing, lending, public accommodations, law enforcement/police misconduct, voting and federally-assisted programs. These protections are designed to provide you with equal opportunity and if they have been or are being violated, it’s important that you seek assistance from an immigration attorney as soon as you can to prevent further discrimination. Last year, we covered the proposed changes to DACA, however, at this time no final decision has been made in regards to the president’s request to completely terminate the DACA program. This means that while new applications for the DACA program are still not being accepted, as of this moment, the USCIS is still accepting renewal applications from previous DACA recipients. Economic Support Is Available to Immigrant Families in the U.S.
As an immigrant in the U.S. (particularly in today’s day and age) many people think that they (and their family) are prohibited from seeking any economic support from the U.S. government. This is simply untrue. There are numerous economic support programs that are made available to U.S. immigrants and you can read about which programs you may be eligible for through the National Immigration Law Center Economic Support resources page. Confused by the information on this page? Don’t panic, it’s a lot of information to sift through and it can be very overwhelming. Fortunately, a reputable immigration attorney can help you to determine which programs are available to offer assistance to you and your family. Many immigrant workers feel pressured in the workplace to accept lower wages, are pushed to work long hours, or are forced to work in unsafe environments and feel that they have no choice but to accept these situations. This should never be the case, however, and as an immigrant in the United States, you are afforded certain worker’s rights that cannot be denied. You can read more about your worker’s rights through the National Immigration Law Center Worker’s Rights resources page. If you feel that your worker’s rights have been or are being violated or denied, it’s important that you get in touch with an immigration attorney who can help you to protect your rights as well as fight back against discrimination. Under current law, all children – no matter their immigration status – have a constitutional right to attend American public schools years K-12. There are also numerous regulations and laws in practice that influence your child’s (and your own) access to higher education resources, these include topics such as access to financial aid for education, fee waivers, in-state tuition fees, coverage of tuition equity laws, that can be accessed through the National Immigration Law Center Educational Resources webpage. Need Personalized Immigration Attorney Advice? If you’re in need of personalized immigration attorney advice for your immigration situation, just pick up the phone and give Nelson and Associates a call at 626-683-3451! We will get you set up with a consultation appointment right away so that you can progress on your case as quickly as possible. Previous PostWhat is a Sanctuary State and What Does It Do?